DIANA DER-HOVANESSIAN, New England born poet, was twice a Fulbright professor of American Poetry and is the author of more than 25 books of poetry and translations. She has awards from the National Endowment for the Arts, Poetry Society of America, PEN/Columbia Translation Center, National Writers Union, Armenian Writers Union, Paterson Poetry Center, Prairie Schooner, American Scholar, and the Armenian Ministry of Culture. 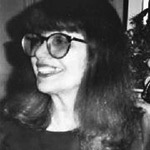 Her poems have appeared in Agni, American Poetry Review, Ararat, CSM, Poetry, Partisan, Prairie Schooner, Nation, etc., and in anthologies such as Against Forgetting, Women on War, On Prejudice, Finding Home, Leading Contemporary Poets, Orpheus and Company, Identity Lessons, Voices of Conscience, Two Worlds Walking, etc. Among the several plays written by DDH, two (The Secret of Survival and Growing Up Armenian) were produced and i traveled to many college campuses in the 80s telling the Armenian story with poetry and music. After 1989, The Secret of Survival with Michael Kermoyan and later with Vahan Khanzadian was performed for earthquake relief benefits. She works as a visiting poet and guest lecturer on American poetry, Armenian poetry in translation, and the literature of human rights at various universities here and abroad. She serves as president of the New England Poetry Club.